Some people try to lead an easy life in the comfort of their home and in the conformity of the mundane! 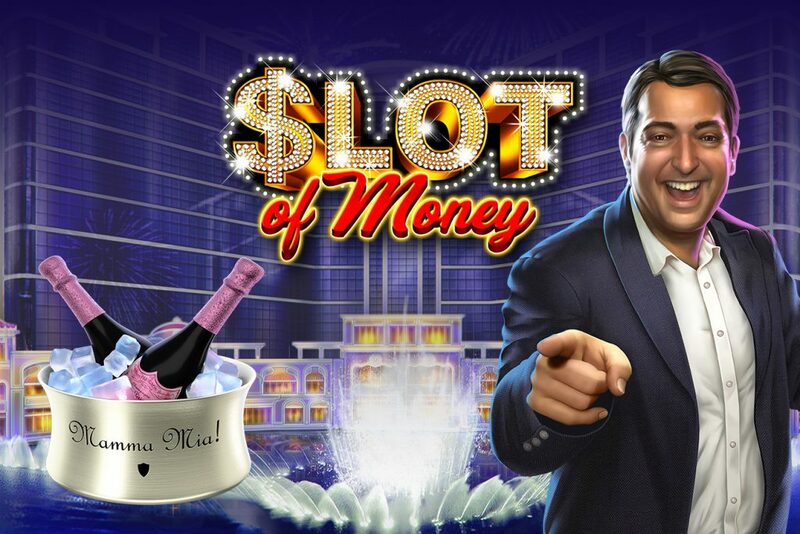 But if you are not one of these people and want to lead a life of excitement and glamour, filled with adventure, shocking beauty and blissful glasses of the finest wine, follow the man himself to get rich in the SLOT OF MONEY!<br><br> Introducing the 20 payline fabulous cascading game known from the beaches of Miami to the most exciting bars in Rome. 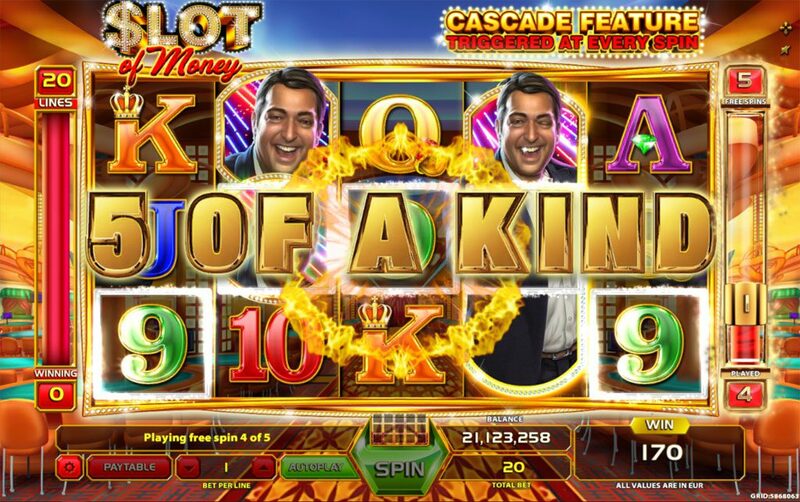 Seize the day as when two SCATTER symbols appear on adjacent reels triggering the cascading feature, so keep an eye on the prize for all 'picture symbols' will be replaced with the WILD man granting you more and more payouts! Take a cruise on the bonus feature as 3 SCATTER symbols will trigger 5 freespins during which the cascade feature is of course present! 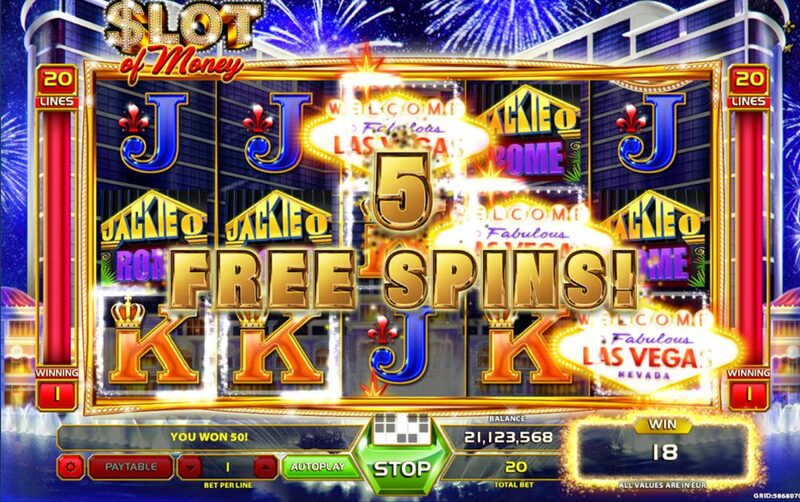 And if you are feeling lucky don't forget to gamble your wins to double your cash! There is only one rule! Wins pay left to right!<br> What are you waiting for? 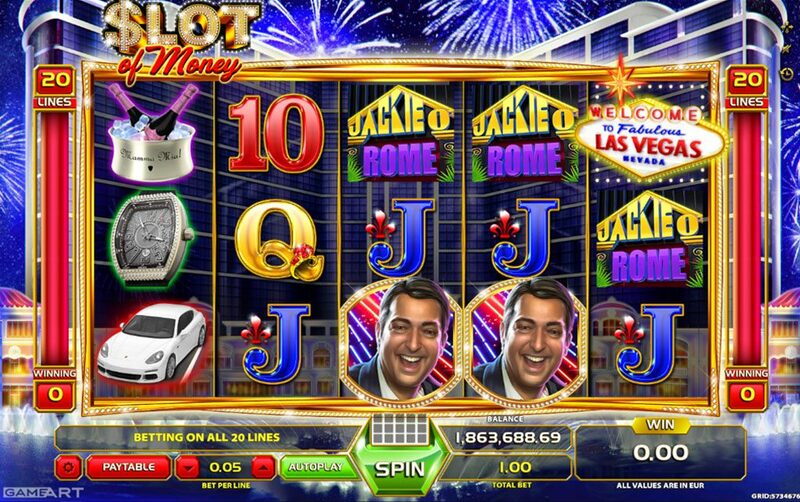 Go WILD with our enigmatic man and let him show you the wonders of the SLOT OF MONEY.